They'll be groovy in the Balmain Kids® Short Sleeve Tie-Dye Logo Tee. Crew neck tee in tie-dye construction. 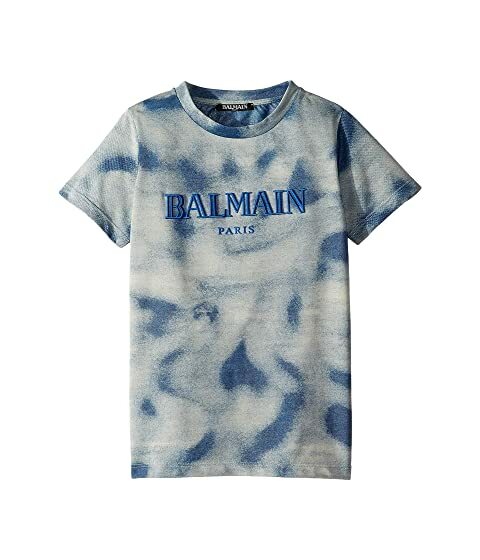 We can't currently find any similar items for the Short Sleeve Tie-Dye Logo Tee (Little Kids/Big Kids) by Balmain Kids. Sorry!